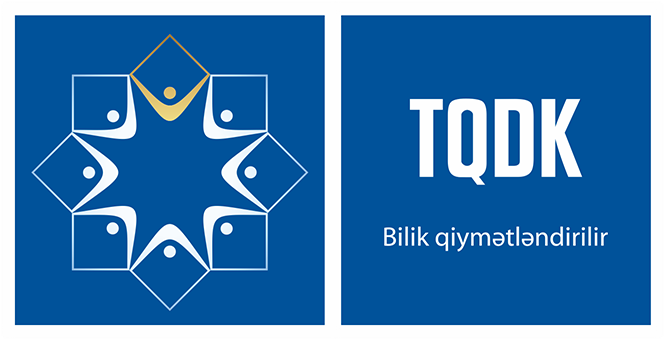 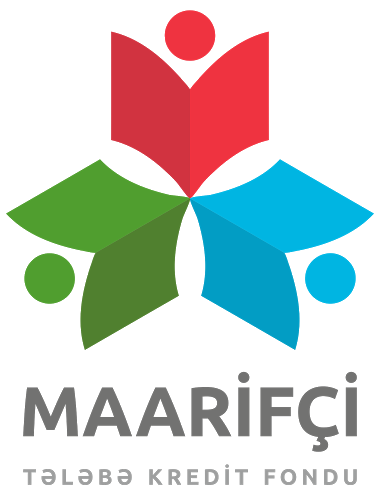 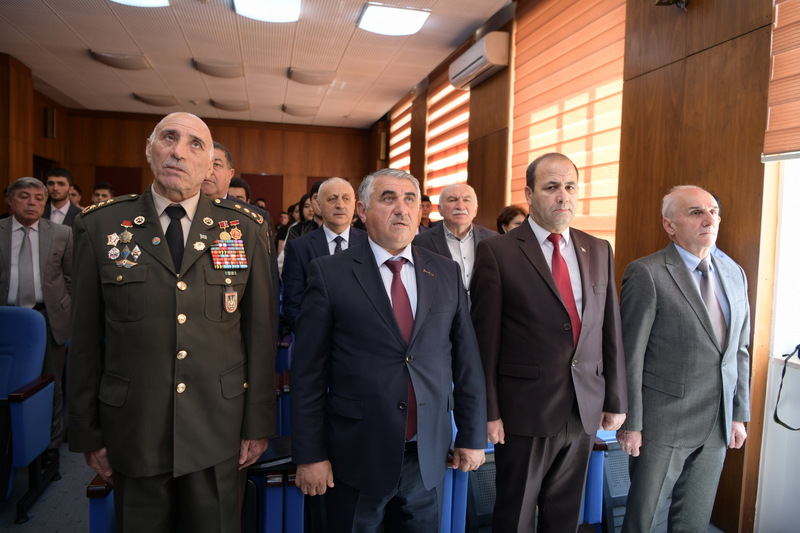 The event started with a performance of the National Anthem of the Republic of Azerbaijan. 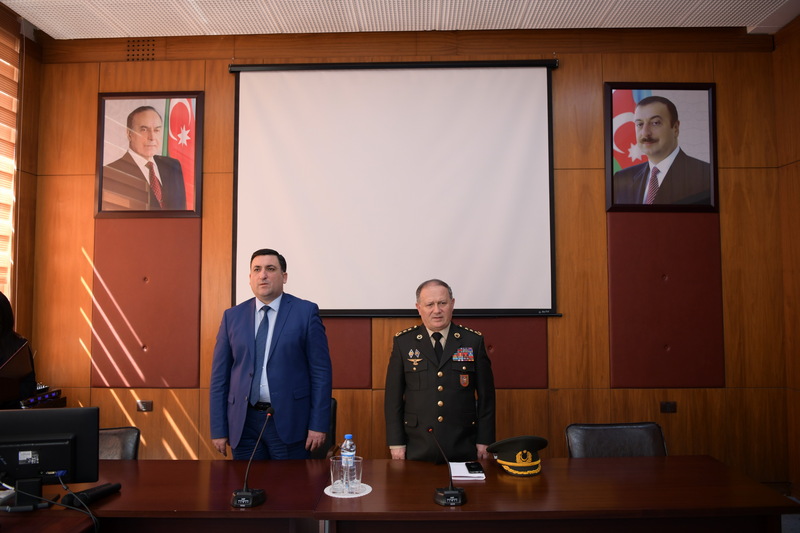 Making a speech at the event, ASOIU rector, professor Mustafa Babanli underlined that he supports to hold meetings of students with war veterans constantly. 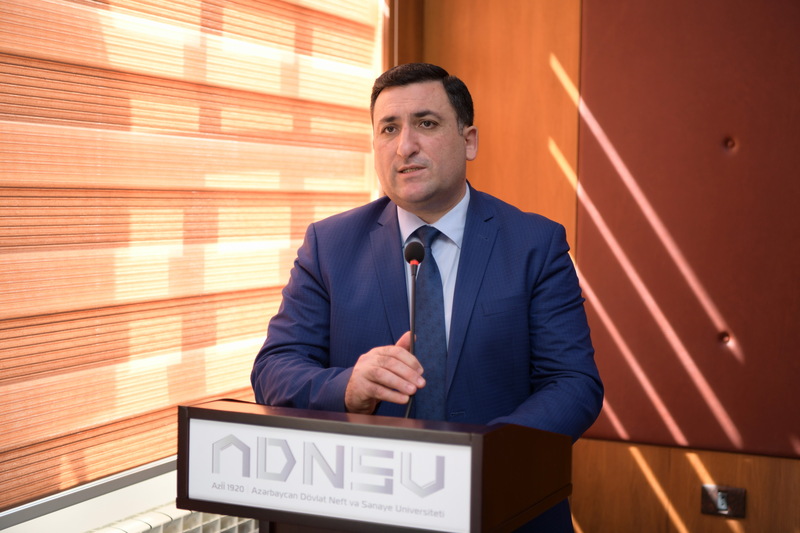 Noting that besides the high level of education, also special attention is paid to the inducing a feeling of patriotism, rector, professor M.Babanli highlighted that the statue of National Hero Mubariz Ibrahimov was laid at the university. 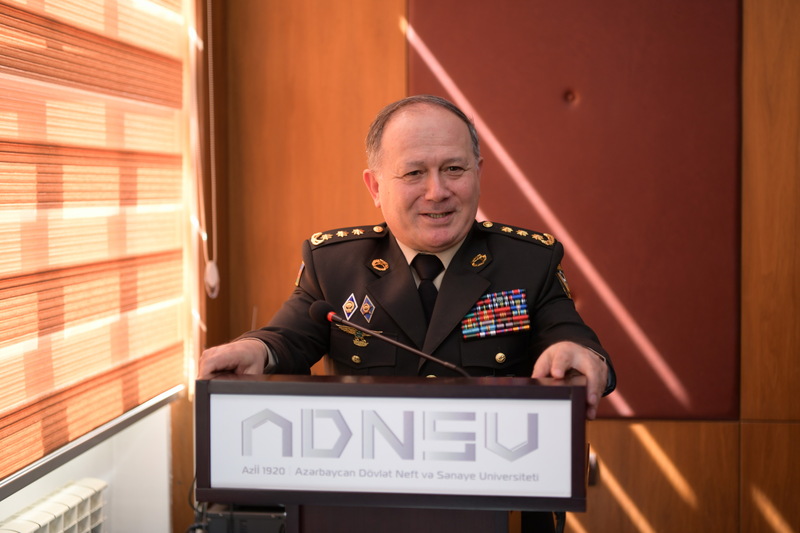 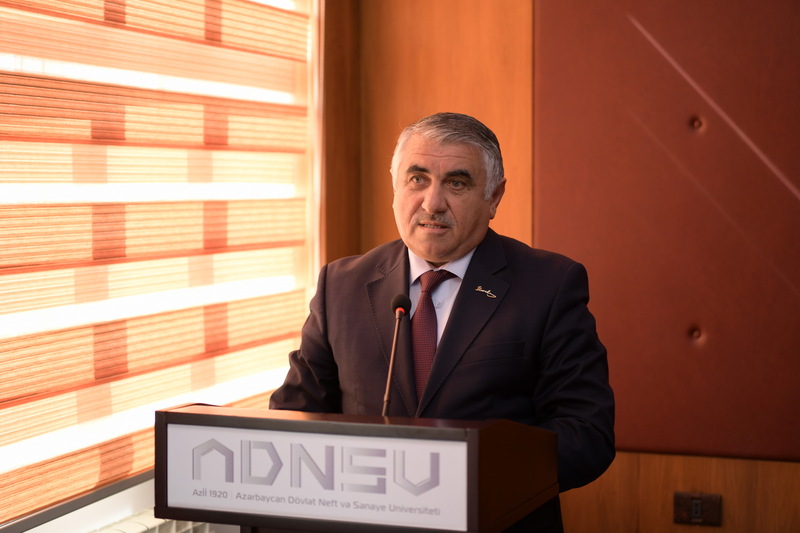 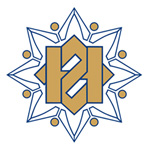 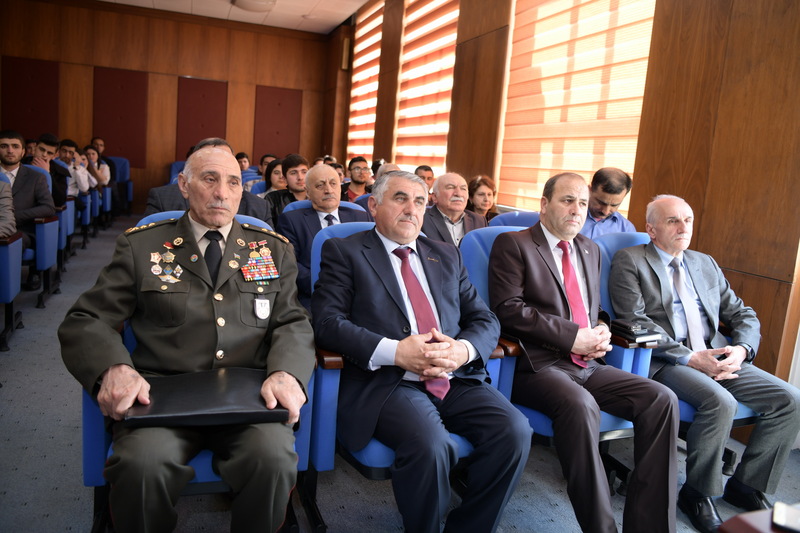 Deputy Chairman of the Council of Veterans of war, Labor and Armed Forces of Azerbaijan Republic, colonel Jalil Khalilov in his speech spoke about the importance of the growth of youth in the spirit of patriotism and emphasized that this propaganda was put by the President Ilham Aliyev as an important task. 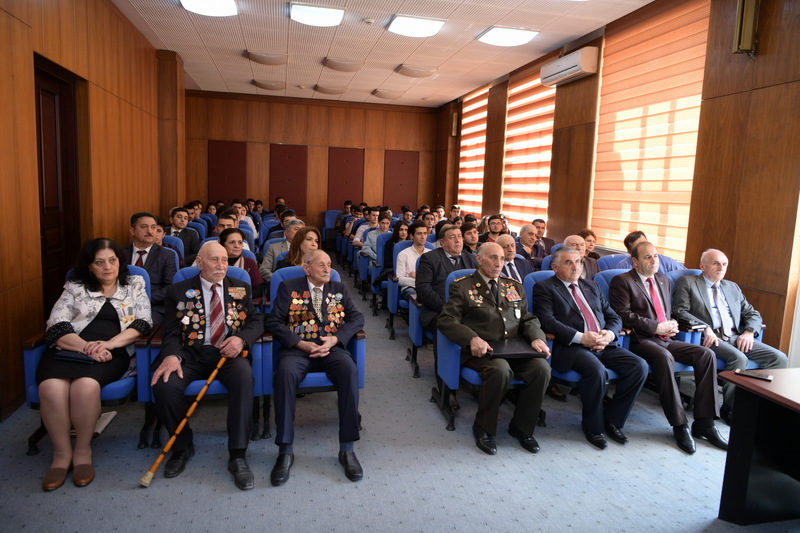 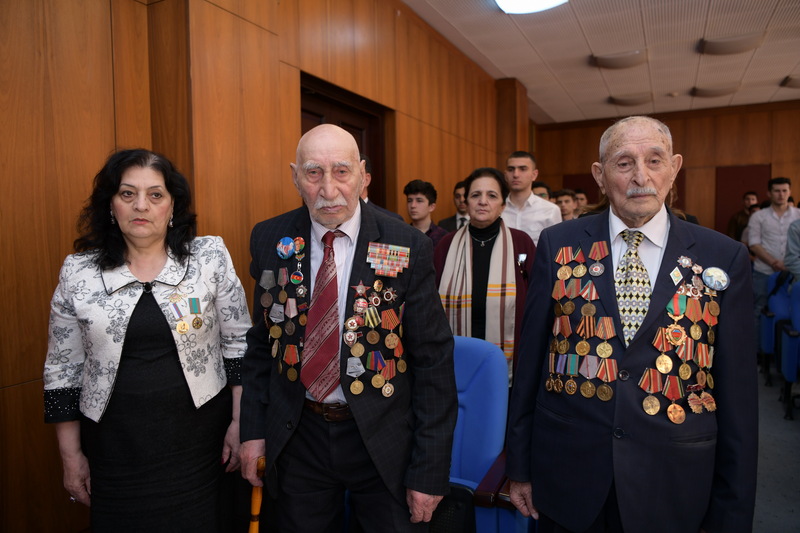 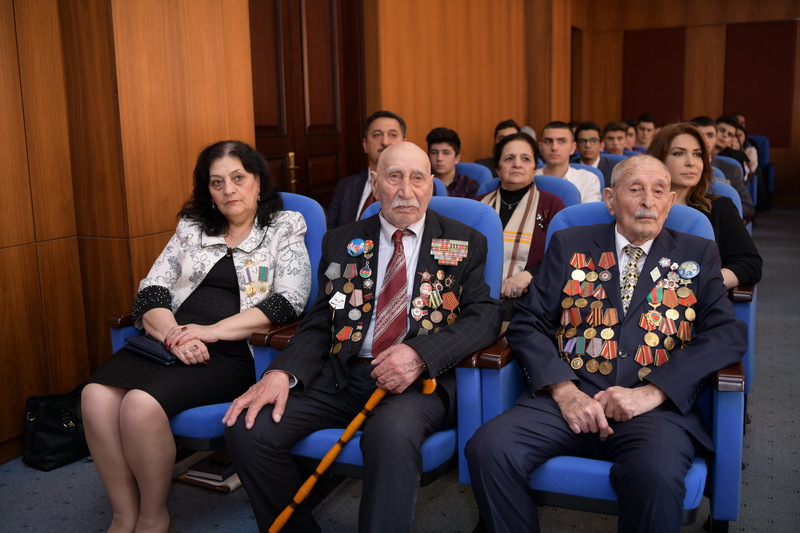 Other war veterans Ismayil Farajov, Adil Hagverdiyev and Bahram Atakishiyev making a speech at the event, spoke about the great courage of young people in the April battles and noted that they will make every effort to share their knowledge and experience in the comprehensive promotion of our glorious history, battle traditions. 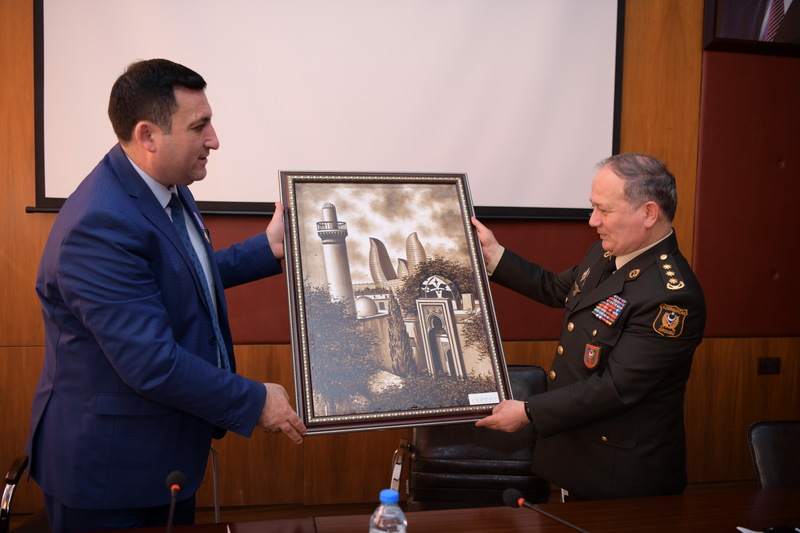 At the end of the event, the rector, Professor M. Babanli presented a memorial gift to Colonel Jalil Khalilov. 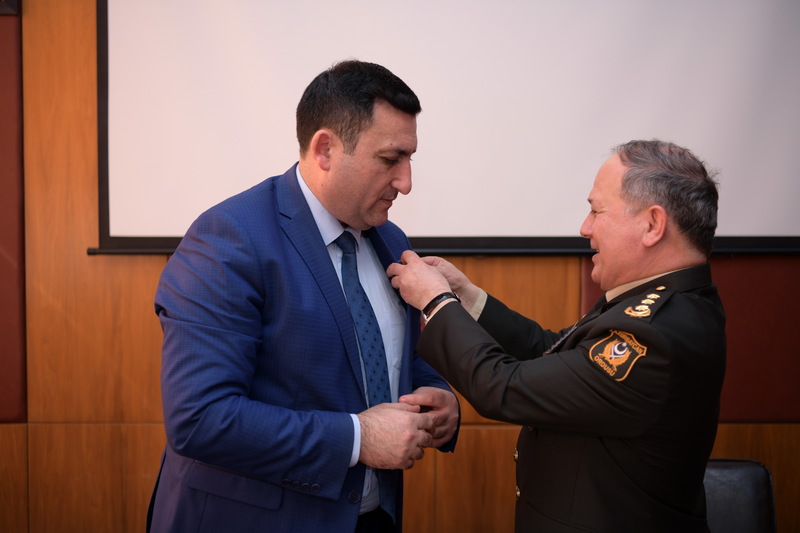 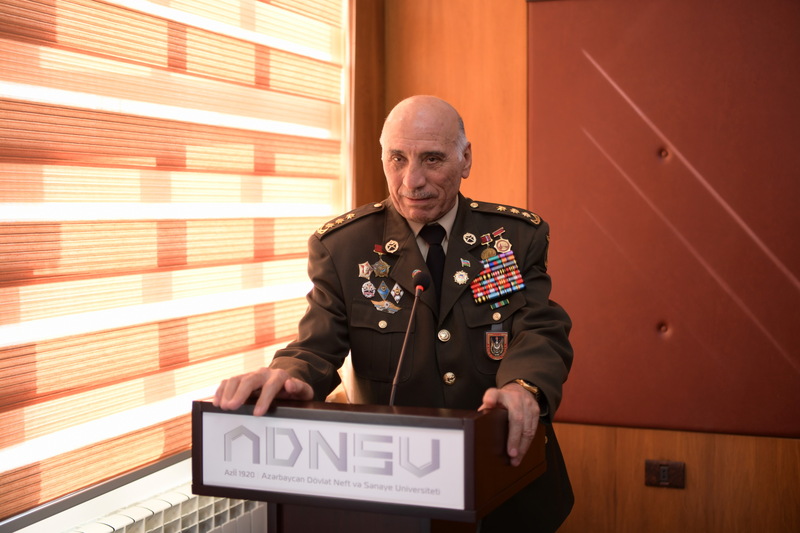 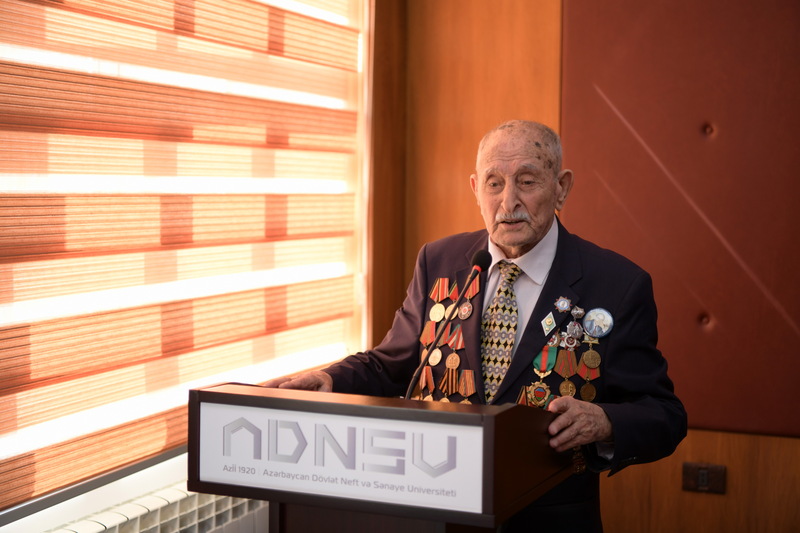 Colonel Jalil Khalilov, in turn, presented a medal named after "General Mehmandarov" to the rector, professor M.Babanli.